And what was considered the most precious of commodities in the 13th century is still treasured today. In fact, when asked what is most important in life, people’s answer is often the same: friends and family. It’s a fact: It’s never been easier to find friends. Whether it’s working abroad, traveling through Europe, moving to another city or spending time online, today’s mobility and technology allows us to meet more people than ever before. But do quick acquaintances really make for real friends? Not necessarily. Having a real friend goes past a few meet-ups. It takes both time and commitment to maintain a healthy friendship. Real friends accompany us for a long time – sometimes our whole life! They provide us with strength, motivation and happiness throughout our lives and pick up the pieces whenever we need a support system. So, whether you’re looking for the Matt Damon to your Ben Affleck or seeking to improve your networking skills, getAbstract has your back. It’s a known fact that friends not only help enrich our lives but also significantly improve our physical and mental health. 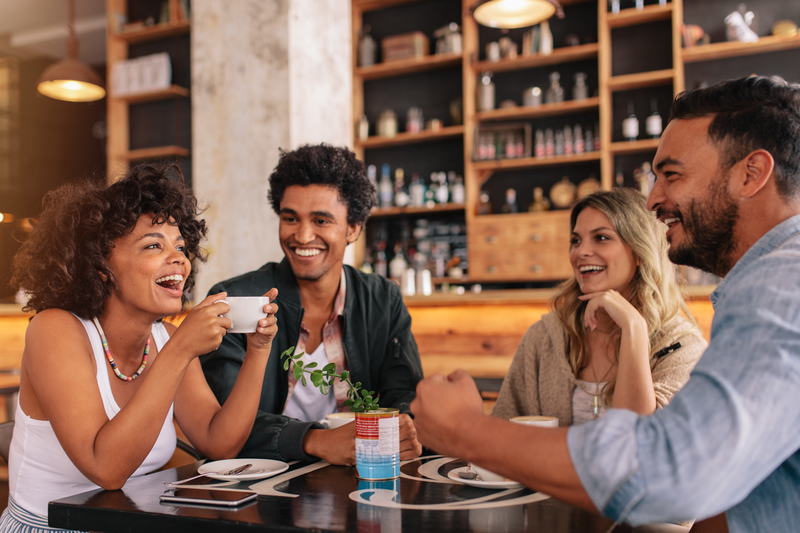 In Friendfluence, author Carlin Flora cautions: Spending time with ambivalent friends – who stir up affection and annoyance – can increase blood pressure. Still, having friends in our lives does more good than harm as they can act as a life force and make us feel fulfilled. As kids we were told to aim high and dream big. However, when it comes to achieving our long-term goals, we often find ourselves in need of help. And in most cases, a friend. In Who’s Got Your Back, author Keith Ferrazzi highlights that a group of like-minded, goal-driven and experienced people that “have your back,” can significantly increase your chances of success – whether that is passing a degree, landing a new job or starting your own business! He recommends getting a “dream team” behind you to help you climb the ladder of success that has these attributes: generosity, vulnerability, candor and accountability. Enlarging one’s social circle is not only beneficial to our private lives, but it’s growing more important in the corporate world each day. This, however, can lead many workers to rush into networking. In Never Eat Alone, authors Keith Ferrazzi and Tahl Raz argue that going into networking when one needs something or – worse – when one is desperate, is generally a bad idea. Instead, they recommend building social connections when there is no need to do so. But keep in mind: Whether you are starting a project that allows you to meet new people or running for a leadership position in a local organization, it is essential to have a plan.